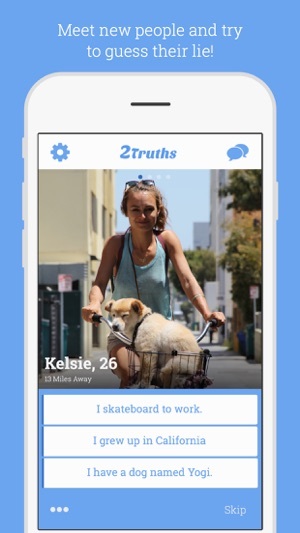 2Truths turns meeting people into a game! 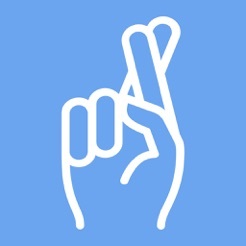 Check out someone’s profile, try to guess their lie, and match the people you like best. Here’s a real-life example from someone on 2Truths… Can you guess their lie? - I was bitten by a shark. - I broke a Guinness world record. - I saved a drowning baby. - Various enhancements and bug fixes! Gives new meaning to play date! 2 truths is extremely fun!! 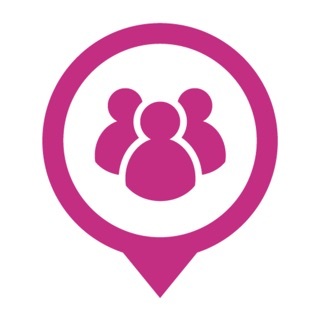 Great way to find out fun facts about people in your area. And if you find someone you're attracted to, you have an instant Ice breaker. Love love love!! 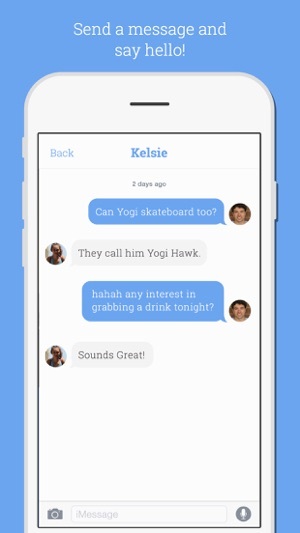 Well, the concept seemed pretty cool for a dating app. However after I clicked login with Facebook it took me to Facebook, I said yes and then it took me back to the app’s front page. And wouldn’t even let me go to the next step. A developer needs to fix it if they actually want people to use the app. So cool to see this game as an app! 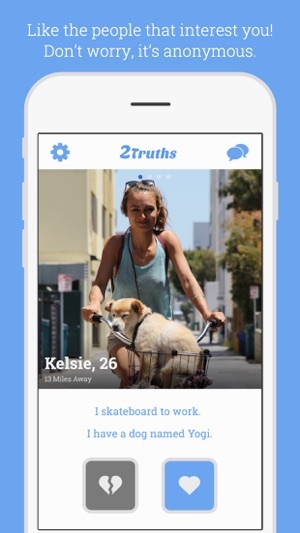 We play Two Truths and a Lie at work to introduce new team members and to see it as an app is awesome. I think this app will have great success! © 2014 Two Truths, Inc.